Our mission at RENU Medical Aesthetics is to provide quality, honest and meaningful care to our clients. We strive to create a safe and comfortable environment where our clients will receive the highest standard of treatment and care. At RENU Medical Aesthetics, we attend to personal differences as best we can to accommodate and exceed expectations of care provided. By pledging to provide education on all treatments and follow-up procedures, we keep our clients informed at all touch points and during each step along the way, therefore making them partners in decision making for all cosmetic procedures. RENU Medical Aesthetics provides body sculpting, facial treatments, medical spa procedures and hair loss options to men and women living in and near Stuart, Tequesta, Jupiter, West Palm Beach and other neighboring communities. We are a full-service rejuvenation center with state-of-the art treatments from skin care to injections to laser treatments and hair loss solutions. 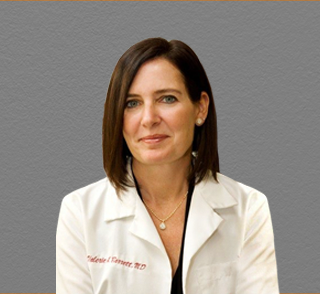 Dr. Valerie Barrett is a board-certified MD who has practiced for 20 years. She has been practicing aesthetic medicine for over a decade and is committed to keeping up with the rapid progression in this field. Under her care, you will receive VIP treatment and attention to detail. She specializes in injectables and has performed thousands of procedures. RENU Medical Aesthetics specializes in non-surgical medical spa procedures for anti-aging, facial contouring, acne treatment, body sculpting and hair loss treatments. Our medical spa treatment before and after pictures help you visualize how Dr. Barrett can help you. Individual results do vary, so we recommend that you schedule a complimentary personal consultation to learn which procedures are right for you.